It’s been a great year for London’s tech scene and for financial technology (fintech) in particular. 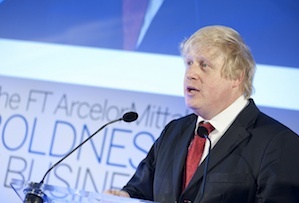 The capital’s fintech startups have attracted $539m (£342.6m) of investment this year, three times as much as in 2013, the mayor's development agency revealed today as Boris Johnson took companies in the sector on a trade tour to Singapore. This means London has scooped up more than half of all fintech invesment in Europe. The industry, which includes payment solutions providers, crowdfunding websites, international money transfer services and online trading platforms among others, is tipped to be an area where London can compete on an even footing with Silicon Valley. Two of the capital’s biggest successes are the peer-to-peer lending business Funding Circle, which attracted £38m from investors including Index Ventures, and Transferwise, which was reportedly valued at as much as $1bn earlier this month. The mayor’s development agency London & Partners commissioned a YouGov poll which found more than half (52%) of Britain’s senior financiers thought London was best-placed globally to lead fintech development, ahead of San Francisco (8%), Hong Kong (4%) and New York (3%). Take that, Wall Street.